The Irish form is given as Slí na gCorr on the OS Discovery map. However, this is clearly not the name of a mountain. It either refers to a track or is perhaps a corruption of Sliabh na nGabhar. Sliabh na nGabhar is the 608th highest place in Ireland. Park at Ballyduff graveyard, Q54076 10104 A , room for 10 cars. Walk back towards the R560 from the graveyard and turn right. Walk around 500m along the road and cross the bridge over the Glennahoo River. Take care while walking along the R560 as it is a busy road with no verges. After crossing the bridge, continue along the R560 for another 300m. Leave the R560 and turn right into a track at Q5460010350 B . There is an old farmhouse with dormer windows and a sloped flat roof extension at the track entrance. Continue south-eastward for around 150m along this track to reach a T-junction. Turn right there and follow a lane southwards to Maghanaboe at the head of the valley. The Glennahoo River twists and turns along the valley floor to the right. The narrow valley, some 3km long, is flanked by a sweep of steep slopes clothed with banks of scree. Go to Beenbo first and then cross from there east to Slievenagower. 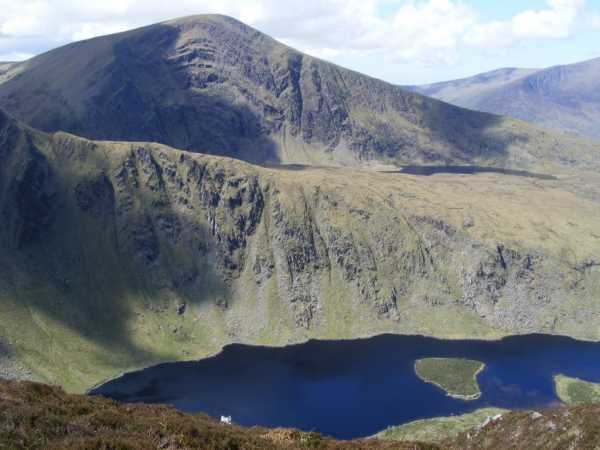 See Cnoc na Banoige for the previous part of this walk. The summit of Slievenagower is surprisingly good in the views & shapely department, with steep cories scooped out on 2 sides. We continued east, descending to the track and following it to just below the summit of Beenbo, leaving the track as it turned left down Beenbos' north ridge, & climbing the short distance to the summit of Beenbo. Quite a brave statement made by Adrian Hendroff in his recent and surpassingly excellent walker's guide 'The Dingle, Iveragh & Beara Peninsulas'. Does it live up to the billing? Judge for yourself on the attached photo. 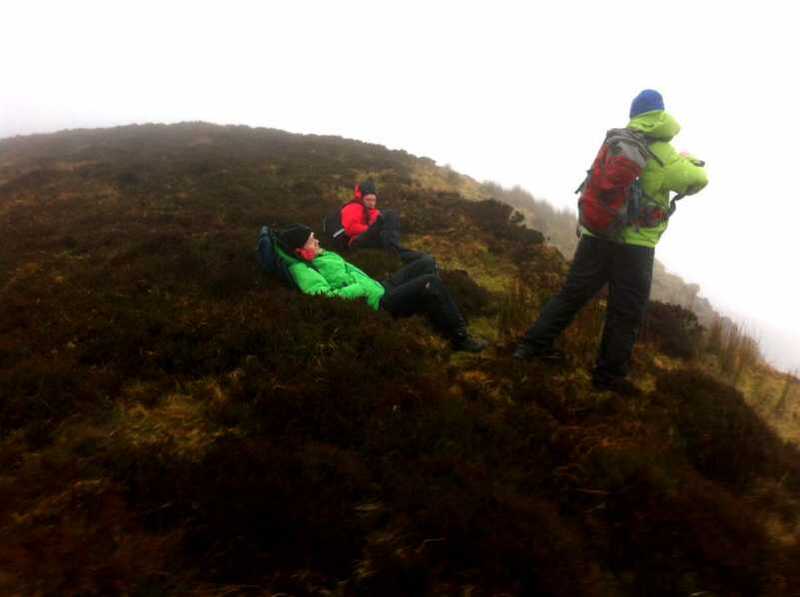 Picture from Colin Murphy : Hillwalking at its most miserable! Picture: Hillwalking at its most miserable!